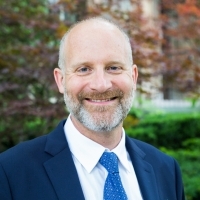 Professor Daniel Sellen is cross-appointed in three faculties at the University of Toronto as distinguished professor of Anthropology and Global Health, professor of Nutritional Sciences, and professor of Social and Behavioural Health Sciences. He is also senior resident scholar at the SickKids Centre for Global Child Health. He has served in many administrative roles at UofT, most recently as the inaugural associate dean of research at the Dalla Lana School of Public Health, and has a wealth of teaching, supervisory and academic mentoring experience. An expert in child nutrition, human ecology and international health with over 25 years of experience leading cross-disciplinary studies of child and family nutrition security, Prof. Sellen has contributed to more than 70 original research articles published in peer reviewed scientific journals and books, and more than 280 invited lectures and presentations at academic institutions, organizations and scientific conferences. He has initiated or collaborated on research in a range of vulnerable communities in a dozen countries, including nomads in Tanzania, rural and urban low income families in Guatemala, Mexico, and Kenya, families living with HIV in Ghana and Kenya, adolescent mothers in Bangladesh, resettled refugees in Britain and America, and new Canadians. A graduate of the University of Oxford, where he read zoology and biological anthropology, Prof. Sellen completed graduate studies in anthropology at the University of Michigan, and received his PhD in ecology and international nutrition from the University of California, Davis. 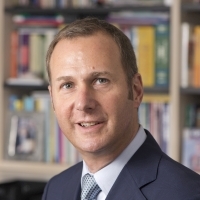 Prof. Sellen held academic appointments at University College London, The London School of Hygiene and Tropical Medicine and Emory University before joining the University of Toronto in 2004 as Canada Research Chair in Human Ecology and Public Nutrition. Faculty of Medicine Dean Trevor Young is the former chair of the Department of Psychiatry, Cameron Wilson Chair in Depression Studies at the University of Toronto, professor in the Department of Pharmacology & Toxicology, and senior scientist at the Centre for Addiction and Mental Health (CAMH). Young is a clinician-scientist and maintains an active program of research on the molecular basis of mood disorders and their treatment, and how to apply these findings to a clinical setting. He is a fellow of the Canadian Academy of Health Sciences, a senior fellow of Massey College, and a distinguished fellow of the American Psychiatric Association. Professor Deborah O’Connor assumed the role of Interim Chair, Department of Nutritional Sciences for one year, effective July 1, 2018. Prof. O’Connor holds a departmental chair in Vitamin Research in Human Milk and Development, and has scientific appointments at The Hospital for Sick Children and Mount Sinai Hospital. She is also a researcher in the Joannah & Brian Lawson Centre for Child Nutrition. 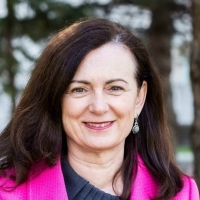 At SickKids, Prof. O'Connor served as Director of Clinical Dietetics and Breastfeeding Support from 2000 to 2012 and then as Associate Chief of Academic and Professional Practice until 2013. She studies maternal and infant nutrition and has published extensively on the nutritional requirements of pregnant and lactating women, and on strategies to help provide human milk to vulnerable infants. Professor Lynn Wilson is a professor in the Department of Family & Community Medicine at the University of Toronto, one of the largest academic family medicine departments in the world. She has been a comprehensive family physician since 1986. Her special interests have included palliative care, addiction medicine, obstetrics, and global health. Dr. Wilson has co-led a number of provincial and national projects regarding substance abuse education for physicians and is the co-editor of two textbooks on addiction medicine. Professor Michael Kidd is professor and chair in the Department of Family and Community Medicine at the University of Toronto. He has over 30 years’ experience as a family doctor, primary care researcher and medical educator, with special interests in the primary care management of HIV and viral hepatitis, mental health and Indigenous health. His academic experience includes eight years as the Dean of the Faculty of Medicine, Nursing and Health Sciences at Flinders University in Australia. Dr. Kidd recently completed a three-year term as president of the World Organization of Family Doctors, a global professional organization in formal collaboration with the World Health Organization and representing over 500,000 family doctors in over 150 countries. 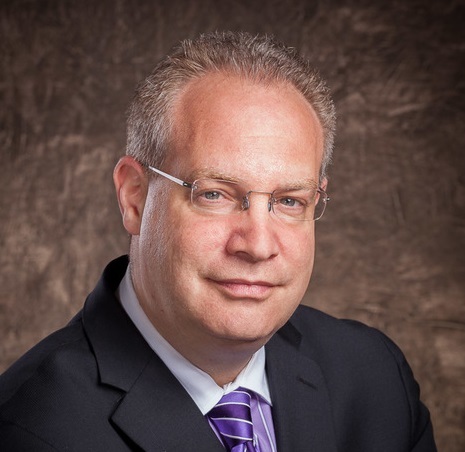 Professor Ronald Cohn is professor and chair in the Department of Paediatrics at the University of Toronto. 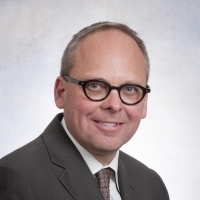 He is also the chief of paediatrics at The Hospital for Sick Children (SickKids), senior scientist at the SickKids Research Institute, the Inaugural Women’s Auxiliary Chair in Clinical and Metabolic Genetics and a professor in the U of T Department of Molecular Genetics. Prof. Cohn’s research focuses on the biology of muscle regeneration as it relates to various inherited and acquired myopathic states with a particular interest in muscular dystrophies. 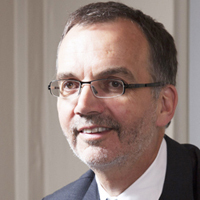 Professor Richard Hegele was appointed chair of the Department of Laboratory Medicine and Pathobiology in 2009. He held this position until he was appointed vice dean, research and innovation in January 2016. He served as chief of the Department of Paediatric Laboratory Medicine at The Hospital for Sick Children from February 2011 to December 2016, and he is currently co-chair of the research committee of the Toronto Academic Health Science Network (TAHSNr).